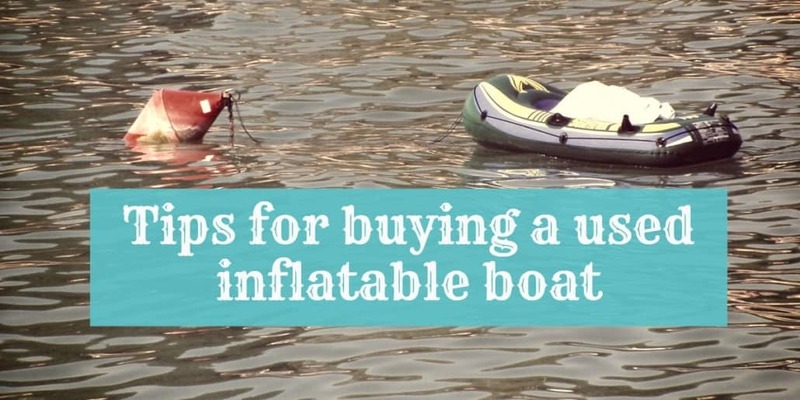 Here are 10 helpful tips on how to buy a used inflatable boat. While most of the products sold here are from retailers or manufacturers themselves, you can still find used or refurbished goods on Amazon. After searching for inflatable boats, there is a “Condition” selector in the sidebar, where you can pick “Used”. 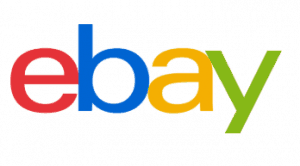 Ebay is a good place to buy both used and brand new models of inflatable boats. The website also features updated descriptions, photos, and information about products and sellers. If a seller has many good reviews, you can be certain that you will the product you buy will be as described. 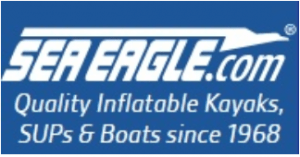 Sea Eagle is a manufacturer of inflatable boats, and they also offer used ones on their website. These boats are guaranteed to be puncture-free, although some might show signs of minimal wearing. Products are also backed with a warranty and a 6-month money back guarantee. These online selling platforms adhere to certain codes and guidelines, so you will be sure to get a good deal with your money. Craigslist is a free ad posting site, where you may be able to find local people selling their used inflatable boats. The advantage to using Craigslist is that you can go and examine the boat before buying it. You will be dealing with the seller face-to-face, so you’ll also have a chance to bargain off the listed price. The first thing you have to check when buying a used or second-hand inflatable boat is the authenticity of the seller. Make sure that you will be doing transactions with someone who is trustworthy, especially if you are planning to make a purchase online. For online selling platforms like ebay and amazon, information about the seller can be seen on the product page itself. You will be able to see seller rating and feedback as well. This is usually located at the sides or at the bottom of the page. If you opt to directly buy from a seller, checking his or her authenticity can be hard. You can, instead, engage in small talk to know a little bit about the seller’s background. Most of the time, sellers who are also boat enthusiasts will be more than welcome to accommodate your questions. They might even throw in some tips on how to restore the product! Gently used returns are products that were sent back to the manufacturer because of minor issues. Some will show signs of wearing or have cosmetic scratches, but these are probably the best type of second-hand inflatable boats that you can get a hold of. Refurbished goods are items that have been sent back to the manufacturer, and are just like new in all regards. Look for refurbished items, as they will always be sold at a discount to their brand-new counterparts. The most important thing to know when buying a boat is its age. This is to get a good estimate of how long it will still last. Most inflatable boats have a life span of 10 to 15 years. Even if properly maintained, some boats start to deteriorate when they reach this age. Here is a detailed article on the life span of inflatable boats. Aside from wearing out, the main concern about age is the boat’s glue. Whether it is Hypalon or glued PVC, glue on any material that is 15 years of age risks extreme weakening. This may cause liftings around the boat’s seams, transom, and flooring. Boats with old glue might even fall apart while you’re out on the sea. YIKES! But, fret not, there is a way to know the real age of an inflatable boat. 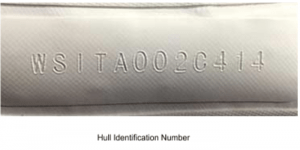 To determine the actual date it was manufactured, look for the Hull Identification Number or HIN, a 12-character serial number that contains significant information about the boat. This is usually located on the transom. The first three characters in the HIN is the manufacturer’s identification boat. The middle characters, on the other hand, represent the serial number of the inflatable boat. And lastly, the 3 characters at the end refer to the boat’s date of manufacture or certification. This is where you should be basing the age of the boat, and not on how long the seller has had it. Just like when buying a brand new inflatable boat, you should also take note of its construction fabric. Most of inflatable boats are made of either Hypalon or PVC. In general, Hypalon boats are more durable than PVC, however, they are more expensive. But if you are living in a tropical country, a Hypalon boat will do you better, since PVC boats are more vulnerable to the sun’s UV rays. The life span of PVC boats is shorter when used in warm climates. Most second-hand inflatable boats have had one or more repairs. It is important to check the repairs made by its current owner because of a few factors. First, the state of the repair made reflects the character of the seller. This means, a poorly repaired boat probably did not receive proper maintenance. This might lead to a lot of concerns after purchase or upon usage. Next, bad repairs will need to be repaired, AGAIN. This adds to the potential expense on your inflatable boat. Remember that you purchased a second-hand boat to save a lot of money. Even if repairs seem to be small or easy, they can cost a lot when piled up. Numerous repairs after purchase will totally defeat the purpose of saving money by buying a used SIB. Lastly, examining past repairs will give you an idea where the weak points are at. It will also help you assess if the inflatable boat will last you a long time. It only takes common sense as to why products have to be inspected before purchasing them. Of course, this also applies to inflatable boats. You will examine the entire boat, however, there are certain parts that you have to focus on. Oftentimes, people overlook the seams of an inflatable boat. However, this is actually the most important part of a boat. It is, after all, what holds the entire boat together. Look and feel the seams around the boat. If you notice that parts of the seams are lifting, that is a red flag. This means that the glue of the seams are breaking off. Repairing this will require a hefty budget, which will make you wish you just bought a brand new boat instead. For tubes, you will have to look at the number of punctures, leaks, and tears; too many of these are an indicator that the fabric of the tube is thinning out. A boat with delaminated or thinning layers of fabric is bad; it is a sign that the boat is almost at its limit. If the inflatable boat you are planning to purchase has a hull, you will have to be on the lookout for cracks. Grazes and scratches on the hull can be overlooked, but cracks are problematic, especially longitudinal ones. This is a sign of weakness in the hull. Most used inflatable boats will have noticeable cracking; this is most likely due to stress from large engine mounting. These cracks pose little problem, but it does pay to make sure that the transom did not take serious damage from flexing caused by heavy load. Cheap deals and discounts are very appealing, but be careful of sellers that offer products with too low of a price tag. This may be a sign that there is something terribly wrong with the product. Feel free to ask the seller why it’s being offered at such a price. A nice trick to this is actually knowing the original price of the inflatable boat you are eyeing. This can help you assess if the price quoted by the seller is questionable or not. If you are buying online, most online selling platforms have return policies. Be informed about the guidelines and policies for returning the product. Consider buying from sellers who have a longer period of time for returns and refund. This can give you ample time to inspect and test your purchased inflatable boat. This is especially important if you are buying a boat off-season, as you might not have a chance to fully test it for months. Buying a boat that is offered with a warranty can save you a lot of money and hassle on repairs. Feel free to discuss with your seller any warranty coverages and conditions of the warranty. Some manufacturers have a lifetime warranty, but they will have restrictions.